Would You Pull Over to Help a Stranded Stranger? Today the California Highway Patrol issued an alert about people pretending to have disabled cars, flagging folks down and scamming those who stopped to help. This sparked some chatter in the Jalopnik newsroom about who pulls over to render assistance. Do you? This “disabled vehicle scam” notice made me sad, because I have stopped to help other people who were stranded on the side of the road in the past, and they were extremely appreciative. I’ve been on the other side of it too–stuck in the middle of nowhere, happy to receive help from a stranger. Like everything else, I think the decision of whether or not to stop for a disabled motorist has to be made in context. 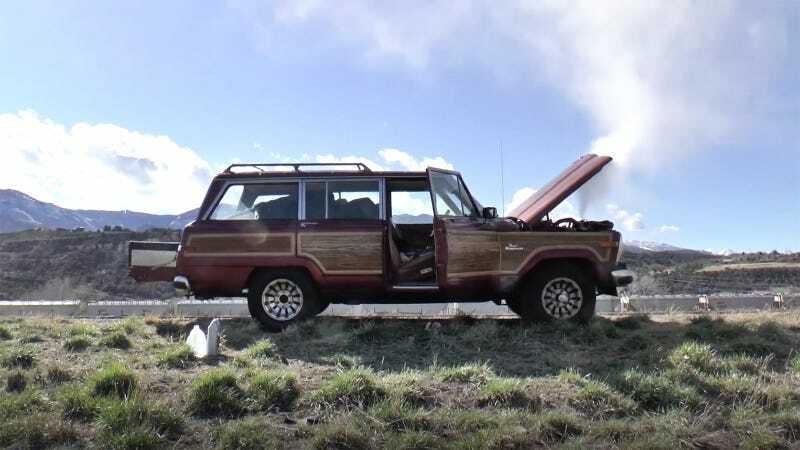 In 2019, pretty much everyone has a cell phone, and unless you’re super mechanically inclined and are willing to diagnose and try to repair some stranger’s car on the side of the road, what could you possibly do besides just help someone call a tow truck? Diving into work on some stranger’s car has its own pitfalls too, of course. Who knows what you’re getting yourself into. If you’re in a busy area, I might say it’s probably best to let AAA and the police help somebody who’s stuck. Then again, if you’re crossing the Australian outback and the first car you see for hours has its hood up, you might want to go ahead and stop. When you’re deep off-roading and you come across a disabled rig, I’d be pretty rude to just roll on by without at least checking if the occupants are okay. I also have a bias towards older cars, especially when people have the same kind of car that I do. I once stopped to help a smoking Land Rover Defender that was pulled over when I was driving a Discovery. I couldn’t do anything to help, but I did try. And for sure I’m going to stop for anyone in a Scout or a 300ZX. I want to encourage car enthusiasts to help one another; just be safe and smart out there. What Do You Want Out of an Electric Car? What Unique Feature Do You Look for When Buying a Car?